Car breakdowns can sometimes be unavoidable and you may find it is either inconvenient or dangerous to stop when you experience one. The chances of a breakdown can be curbed significantly if your vehicle is properly maintained, including getting it regularly serviced. Yet even this does not guarantee you will never face a breakdown, so it is vital you know how to deal with it in the event of your vehicle breaking down. If the unfortunate were to happen to you we've created a checklist for you. 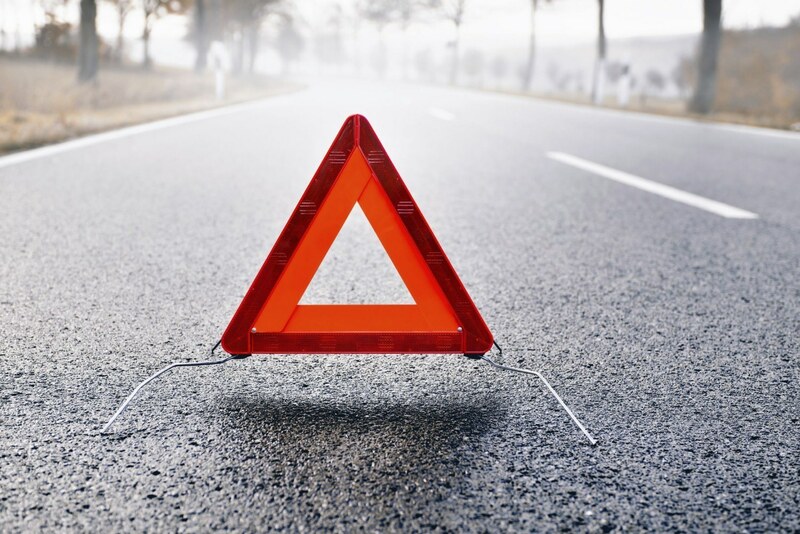 Just as a precautionary measure, you should always have breakdown cover so that you can be collected if you find yourself stuck at the roadside. startrescue.co.uk offers packages at a competitive price, including roadside assistance to try and get your car up and running again. Failing that, it also provides recovery, alternative transport and overnight accommodation. Downloading a mobile app to aid with breakdown recovery is also a good idea. Should you choose to get breakdown cover with startrescue.co.uk, the company offers an app that allows you to report your breakdown without making a call. This speeds up the process as details on your policy, who you are, where you are and what might be wrong are reported automatically. It also saves the cost of a phone call as startrescue.co.uk will call you back to confirm your details. As well as breakdown cover, you should also make sure you have a number of other supplies in your vehicle so that you are prepared in the event of a breakdown. A road map is essential as, if you need to come to a stop and call for assistance, it will help you work out where you are and where the nearest place is that you can get help. You should have a red hazard warning triangle in the boot of your car so that you can warn other motorists if your car is forced to come to a stop. In rural parts of the UK, you may find there are fewer cars on the road if you break down but also that you are unable to get mobile phone signal to call for help. For this reason, it is important that you carry some coins in your car so that you can make a call from the nearest payphone for assistance. Should you need to walk to find help, you will want to be properly equipped. Therefore, have some comfortable shoes in your car to seek assistance - you do not want to have to walk long distances in high heels or brogues. Bring a waterproof jacket too, to protect yourself from wet weather and spray from the roads. You should also be able to keep yourself comfortable while you wait for a recovery vehicle. Keep warm clothes and blankets in your car so that you can stay cosy in the meantime. Once you have switched off your engine in winter, it is surprising how quickly your car can get cold. It is important to keep your energy up and stay properly hydrated too while you wait so it is worth having a snack and a drink with you to keep you going. This may not be particularly necessary if you have broken down on a short journey but if you were travelling long distance then it is worth having these in the vehicle anyway. As well as making all the important preparations, it is vital you know what you are doing in the moment of a break down. The first thing you must aim to do is get your car off the road. You should also warn other drivers around you what is happening by putting your hazard lights on. The motorway is one of the places where drivers dread breaking down most and you should try to leave at the next exit before you come to a stop if at all possible. However, if you are unable to do this then you should pull over on the hard shoulder. Once you have safely come to a stop and you have appropriately warned all the drivers around you, it is time to put your preparations into action starting with calling your breakdown recovery provider.